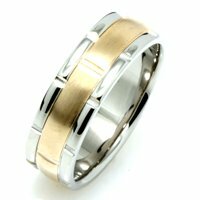 Select hand crafted and hand woven wedding bands in white and yellow gold. Find your perfect woven wedding band in our extensive selection. 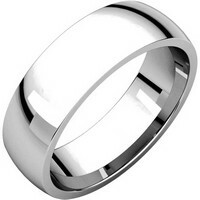 View our fine selection of modern palladium handmade wedding rings. 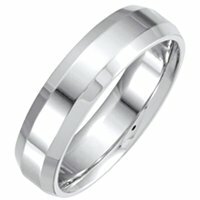 Shop our collection of platinum and palladium men's and women's hand crafted wedding bands. Three basic tools have been used since the earliest and finest handcrafting of jewelry... the hammer, the snipe, and the file. Together they form the lintel of the exquisite hand crafting of our women's and men's handcrafted wedding bands. The twists, braids, and hammered parts of the wedding bands are all made separately with care and brought together forming your perfect wedding ring. Each of the handcrafted wedding ring is protected with our life-time warranty, which protects it from any manufacturing defects for as long as own the ring. 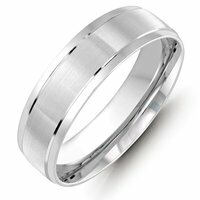 Every one of our wedding bands is made of the finest materials and craftsmanship. From the 95% platinum to the perfectly refined 14kt and 18kt gold, our artisans spend days creating your wedding band. Even after we have finished manufacturing your wedding band, we spend hours checking the quality and details. 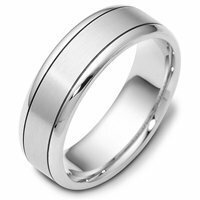 All our wedding bands go through the same scrutiny, so your ring will endure the test of time.